Police in Montgomery County (MD) want to know if residents interacted with a teen trying to pass himself off as a police officer. 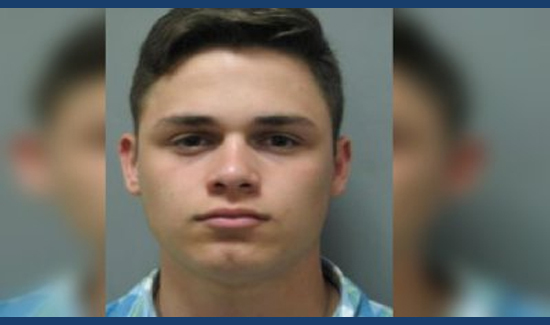 Police arrested 19-year-old Philip Jonathan Ross (above), of Dickerson, Maryland, for impersonating a police officer on June 12 after an officer saw a white Ford Crown Victoria driving at a high rate of speed and using its emergency white and red lights as if they were sirens. “At that point, even though I saw the red and white lights, I became a little more comfortable with the fact he might be a police officer thinking that an impersonator would not be as bold as to back up another police officer,” Lanham said. The fact the car in question had red and white lights — not the blue and red lights Montgomery County Police usually use — and the condition of the car, made Lanham suspicious enough to run the car’s plates. She says when she saw the car was registered to an individual, not a municipality or government, she knew she was dealing with a police impersonator and pulled over the car. Police say they have gotten two other complaints that they believe link back to Ross acting as a police officer. Lanham says police are confident there are additional incidents. “We want to make sure that we’re able to get as many charges as we can for any incident that occurred because we feel he’s a danger to the public,” she said.